Hello m'fellow Trustinvoguers and newbies! I've been frequently requested an 'how-to' hair style tutorial, due to the photos i've been posting over my past few blog entries. I'm absolutely LOVING this style, it's subtle yet fresh, elegant yet casual. Perfect blend of both worlds!.. *Que Hannah Montana song* "You get the beeeeest of both worlds!!" ....Ok, enough of that. Anyway, as requested I shall share with you on how to achieve this hair look, in 5 easy steps. 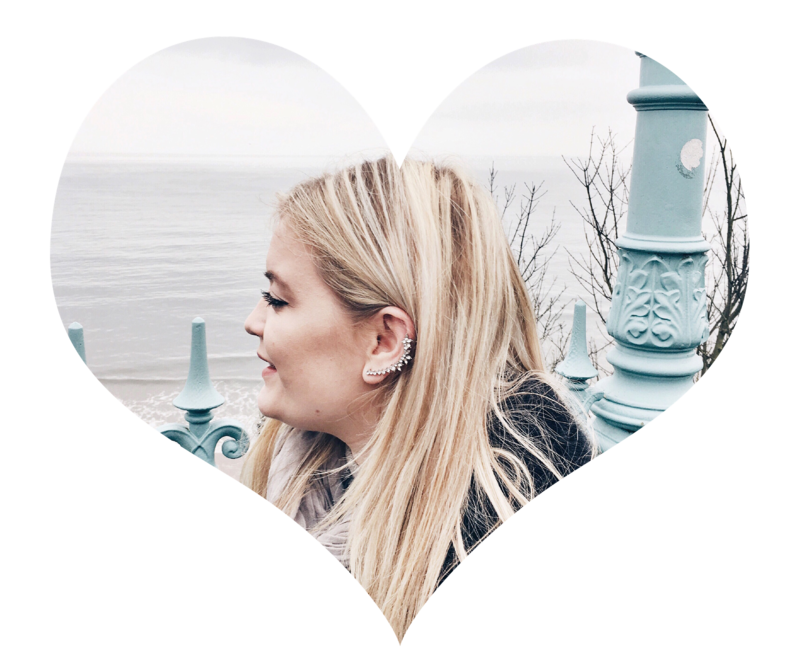 Not only have I included it on my blog, it's also featured on my Youtube - TRUST IN VOGUE - channel (which you can see here) - just to make things that little bit easier! However, of course I've done a thorough image-based post just so you can see for yourself on how to get the look by each snippet. I've been wearing my hair like this for literally most of the Summer, so I hope you enjoy this look. It's the perfect style to wear on a night out, or sprawled across some beach on distant soil, catching a tan. The possibilities, are seemingly endless! Step number one. Apply heat rollers! You can use your straighteners to curl hair (or if you're american, flat iron) or any other curlers for that matter! 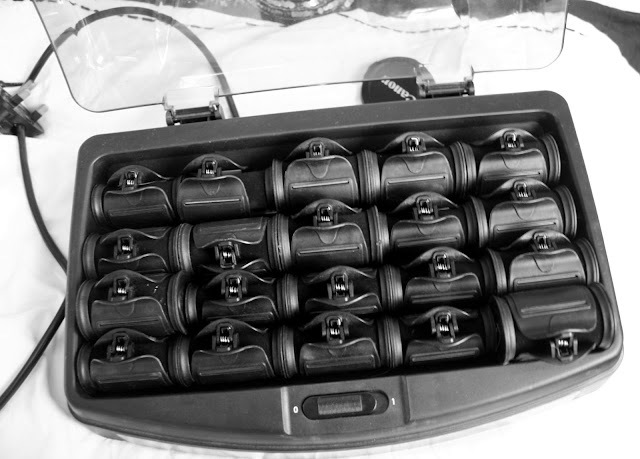 I just prefer to use Heat rollers as they're quick, easy to use - and, well - just plain simple! I know my hair is done rather messily in the picture, but I actually did that on purpose as I didn't want 'too structured' hair if that makes sense? I also used an assortment of larger heat rollers and smaller ones to create that messed up beach waves look. If you would like to see how I apply heat rollers, please feel free to check out the video above! 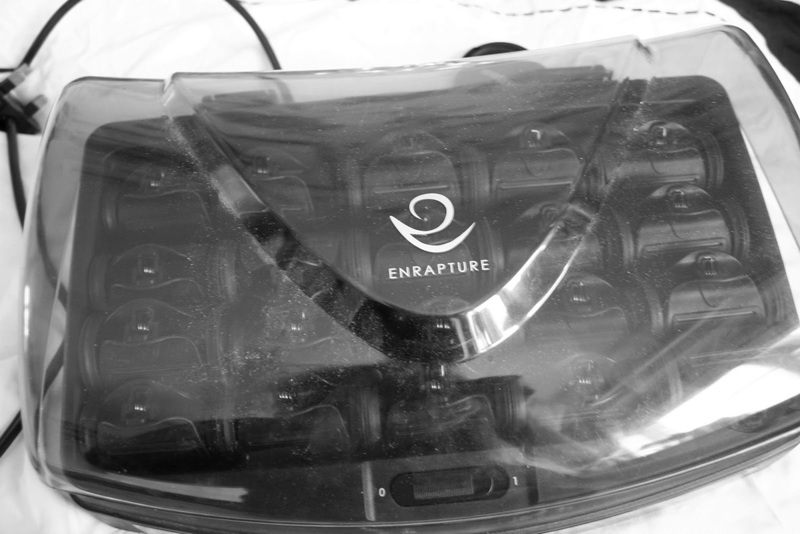 I use the Enrapture ones which are A.M.A.Z.I.N.G. 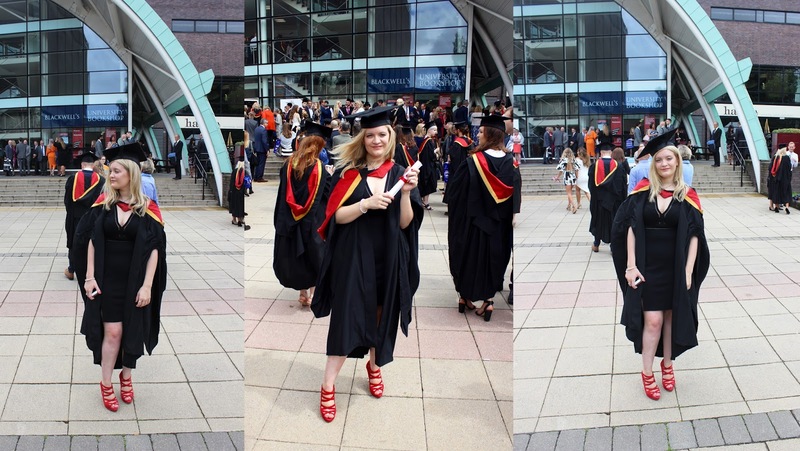 Although they're quite pricey at £75, they're totally worth every penny. 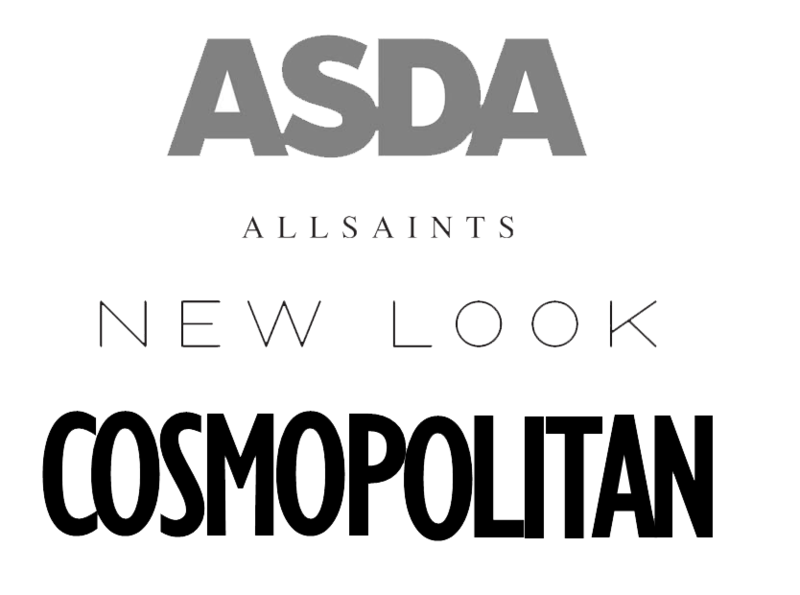 They've been used by the likes of famous bloggers and you-tubers such as FleurdeForce and Foxylocks just to name a few. So, if it's good enough for their thumbs up, then it's good enough for me! Next step, take your fringe (or in my case, massively overgrown piece of hair) and seperate three stands of hair from each other. This is because we're going to use these strands to do a classic, and simple plait. Now, all you do is take those three strands, and plait/braid down vertically. 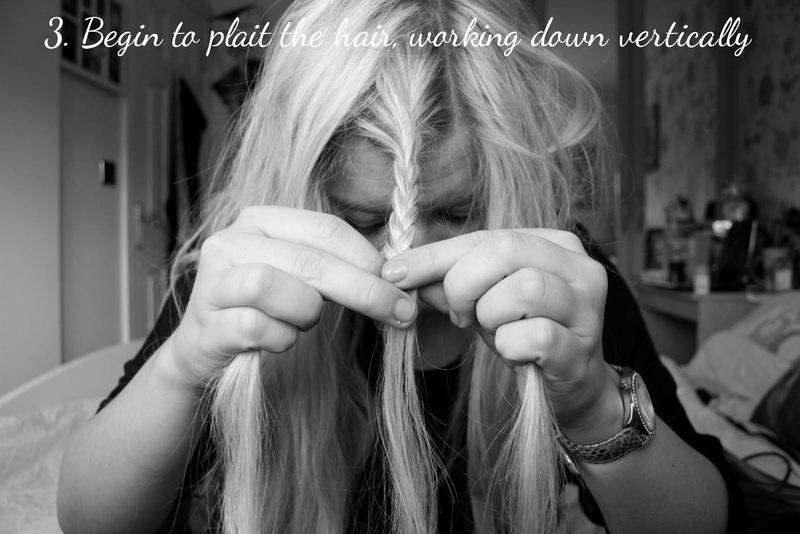 If you don't know how to plait already, it's really really easy. You take one strand of hair, place it on top of the other. I'm not explaining this very well am I? Let me start over. 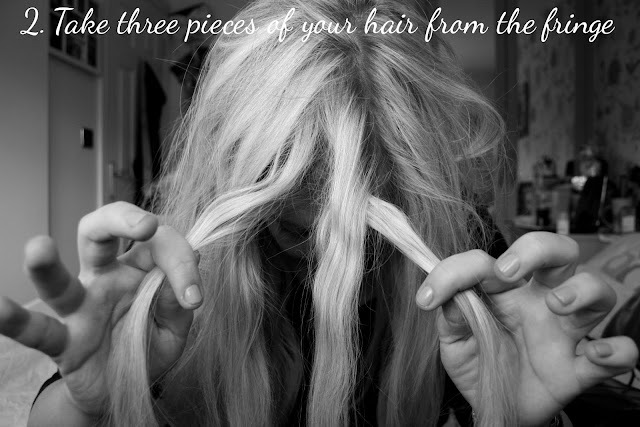 First split you hair into three pieces.. then take an outer piece and wrap it over the middle piece. After that, take the other outer piece (on the other side) and wrap that over the middle piece.. but making sure it is in between the middle bit and the bit you just did (the first piece) then continue this all the way down. If you need further assistance on how to do this then Google and Youtube has fantastic advice! The easy bit! 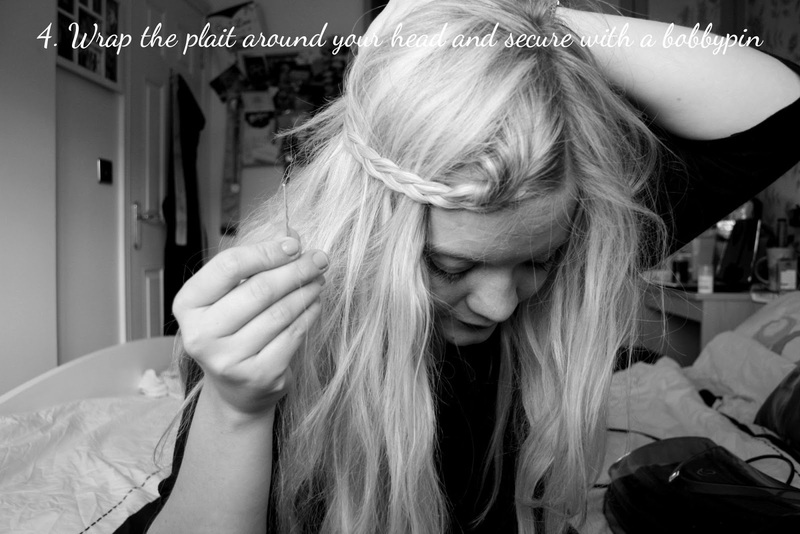 Simply take your plait/braid, and wrap it around the side of your head before tightly securing it with a bobbypin or two. I tend to use blonde-coloured bobbypins as the look much more discreet within my hair, but that's just personal choice you can use whatever takes your fancy! The last step. Simply take out the heat rollers, using a vertical motion. Some people just whack them out, however, I find that if you remove the clip that holds the roller, then take the bottom of the roller and pull it downwards, the curl will come out much more spirally and, well, "proper good'". Excuse my Yorkshire dialect loves! Anyway, the image above is pretty much the final result. 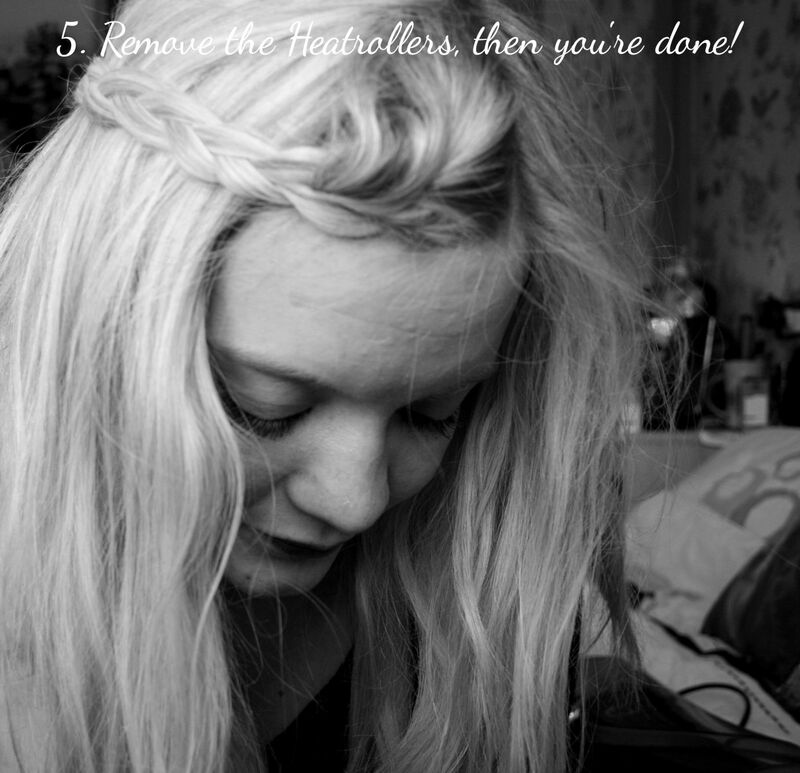 I hope this quick and easy 5 step hair tutorial has helped in anyway! Please feel free to comment below if this has helped you out, or given you some inspriation! Love this hairstyle. It's so pretty <3 I'm now following! this is so perfect for festivals! Beautiful! 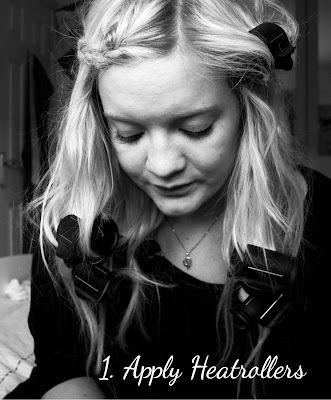 I was looking for a heater roller tutorial, plus braided fringes often appear in my hair thanks to hair washing laziness! heated rollers are my savours! I've been thinking about doing a blog post on them very soon! !